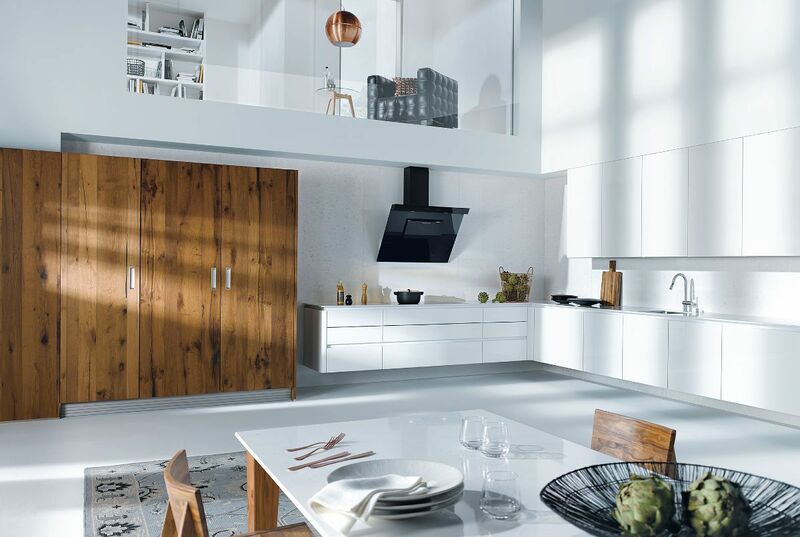 Crystal white – which is a medium shade of white – works brilliantly with natural materials as illustrated here alongside the Old Oak kitchen units. 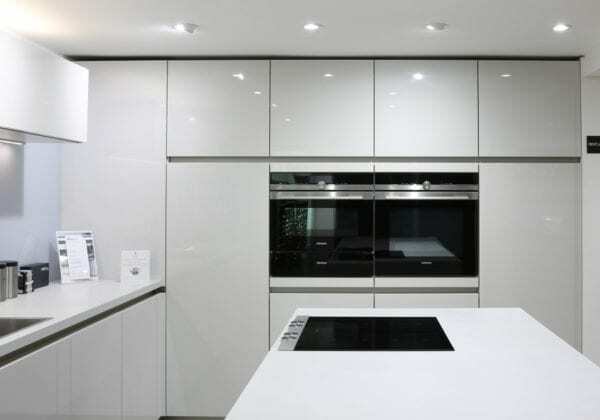 The high gloss complements the natural oak and creates an interesting mix of modern and traditional. 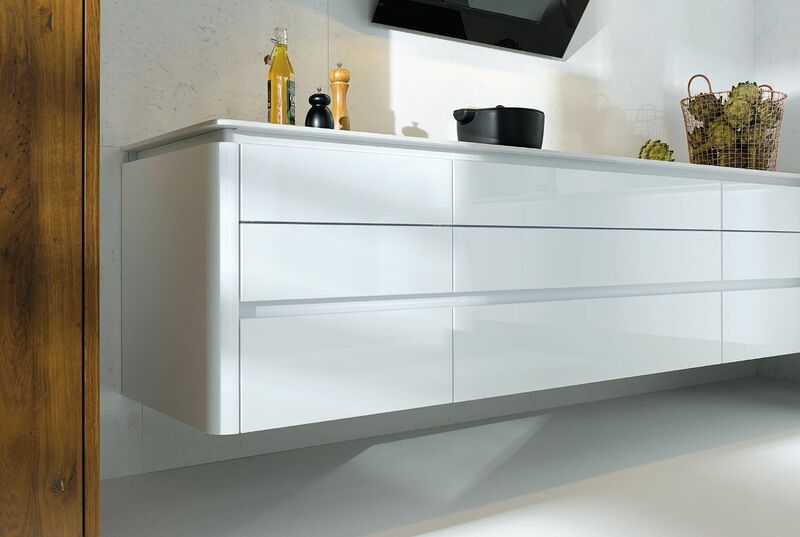 The kitchen features Crystal white grip rails to match the doors and the units are shown raised from the floor (the “floating kitchen style) which gives the kitchen a unique, sleek minimalist look. 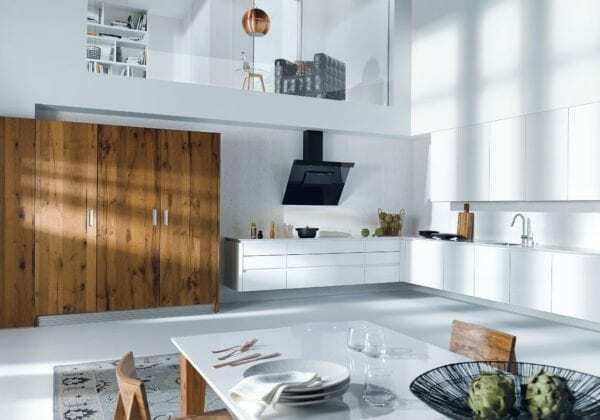 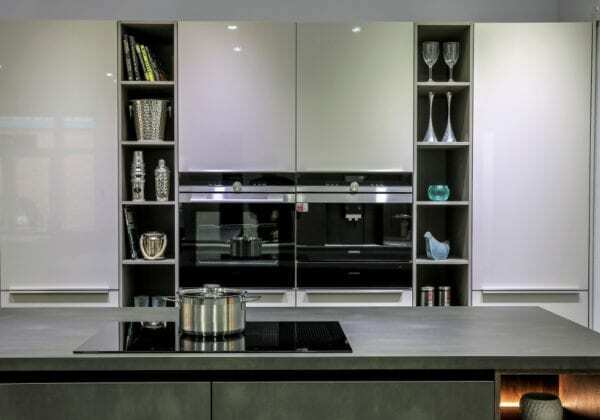 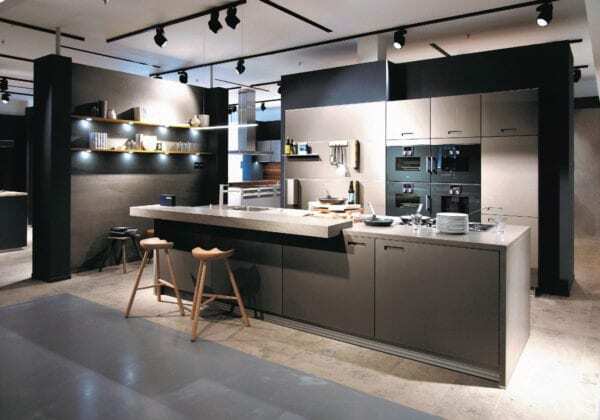 This does require strong walls to support it however this style is optional and the kitchen can also be fitted in the more usual method to the floor with plinths.